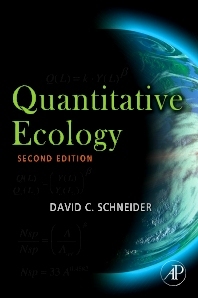 A follow-up to the highly successful first edition, this book reviews the manifold ways that scale influences the interpretation of ecological variation. As scale, magnitude, quantity, and measurement occupy an expanding role in ecology, this 2e will be an indispensable addition to individual and institutional libraries. In providing a context for resolution of ecological problems, ecologists will appreciate the significance of scale and magnitude addressed in this book. Written for advanced undergraduates, graduate students, and faculty researchers, this book synthesizes a burgeoning literature on the influences of scale.